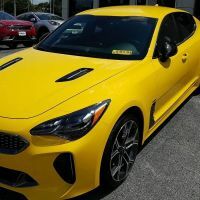 The Stinger will be largely unchanged for the 2020 model year. A color change possibly and maybe an alloy wheel. Kia does refresh cycles on 3 years and redesign cycles on 5-6 years. No chance of a manual transmission. Probably no chance of the upgraded dash until the 2021 refresh. Stinger needs more wheel choices. Speaking of color choices what ever happened to Lake Stone? 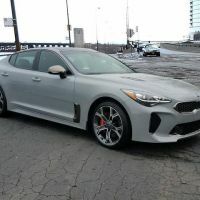 If true I'd be kind of surprised seeing that the 2020 G70 looks like it's getting the 3D digital cluster and I believe that the 2019 Stingers / G70's already share the same analog cluster from the same parts bin (I think). They do, the clusters are virtually identical. I would love to see a manual transmission, the youth to don't know how to drive a stick so its theft proof. I grew up driving a stick, I feel like I'm operating a car unlike today where you just sit in it and steer. Don't get me wrong, I love my Stinger!!!!!! !